To paint or not to paint? That was ‘THE’ question. Sometimes it can be a difficult decision when the brick you are thinking about painting is very old and has a beautiful, rustic character unto itself. However, if the space you are trying to create just does not lend itself to dark, rugged beauty, then JUST DO IT! 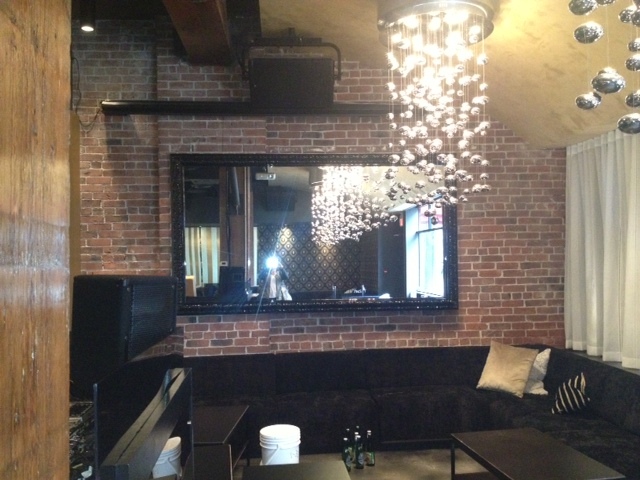 This space was 90% uber cool…..just about there, with just the right amount of glitz and glam. But, the reddish brown brick in its natural state just pulled the whole room down. 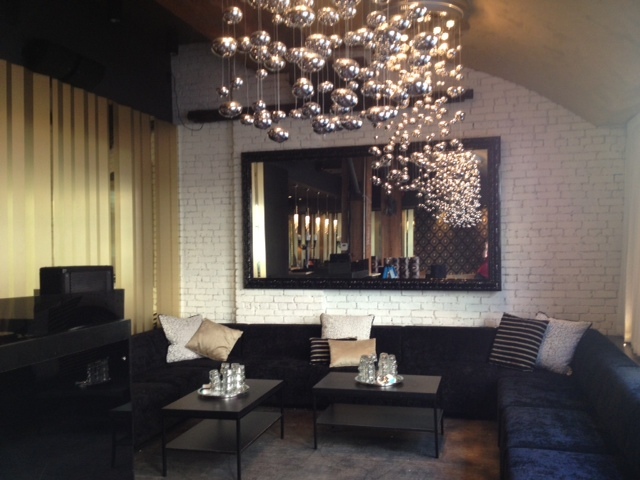 The black furnishings and metallic accents demanded that the walls be lighter. Besides, painted brick can be so, so cool and is very ‘on trend’ right now. We carefully applied 3 coats of soft white water based paint in an eggshell finish to the brick. Enough to cover the red, but still not a solid painted surface. Sometimes the paint would hit the mortar, sometimes it would miss it entirely. The white paint enhanced all the natural beauty of the brick, defining all the imperfections, divets, cracks and crevices that were hiding in the darkness of the red clay.